Margaret Sherman Hardy, age 89, of Jasper, Georgia passed away Friday, September 28, 2018 at her home. 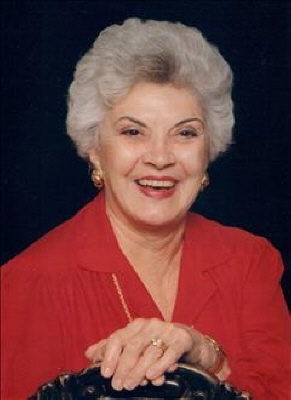 She was born November 13, 1928 to Selwyn and Ouida Sherman in Waycross, Georgia. Survivors include her daughter, Carol Ann Stabrowski of Canton; sister, Betty Whaley of Brunswick; grandchildren, Samantha Stabrowski of Kennesaw, Tabitha Stabrowski of Canton, Craig Gaddis of Dekalb County, Laura Gaddis of Alpharetta, John Almand of St. Simmons Island; great-grandchild, Ashton Edwards of Kennesaw. Mrs. Hardy was preceded in death by her husband, Allen C. Hardy and her parents, Selwyn and Ouida Sherman. A memorial service is planned for 11:30 a.m., Saturday, October 20, 2018 at the Holy Family Episcopal Church in Jasper. To send flowers or a remembrance gift to the family of Margaret Sherman Hardy, please visit our Tribute Store. "Email Address" would like to share the life celebration of Margaret Sherman Hardy. Click on the "link" to go to share a favorite memory or leave a condolence message for the family.